This A6 model is outfitted with an M390 steel blade and a carbon fiber handle with gold anodized titanium liners. 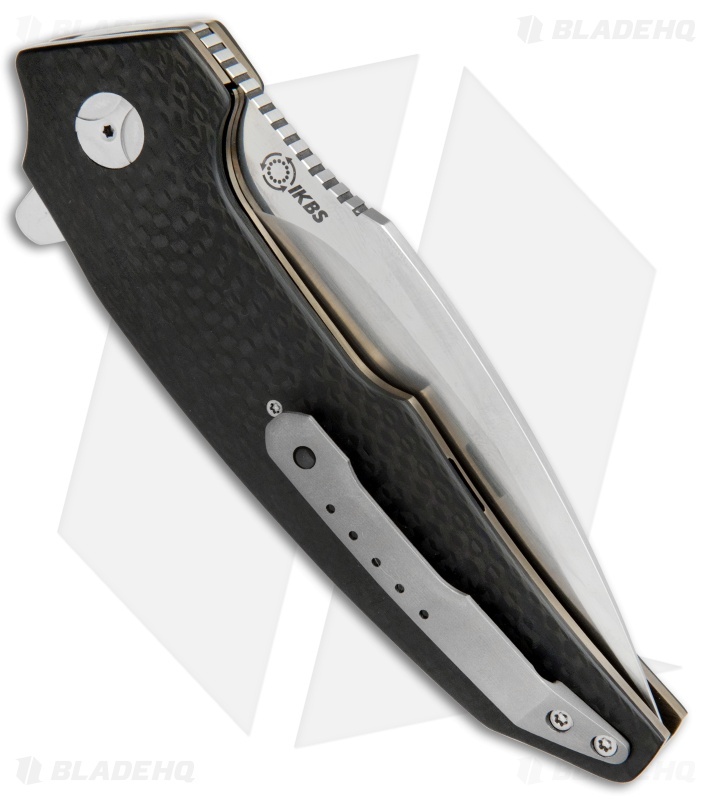 The A6 Flipper is a superb collaboration from Andre E. Thorburn (blade) and Andre Van Heerden (handle). 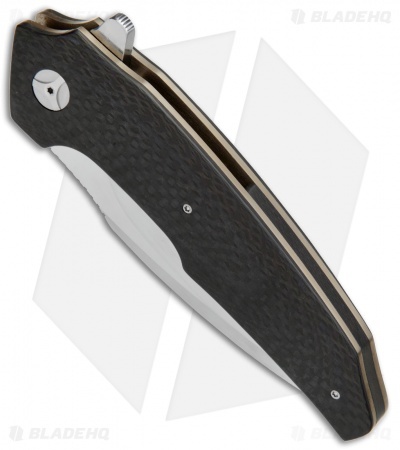 It has a large, rounded handle design for comfort in hand and will appeal to those who prefer a traditional flipper opener. 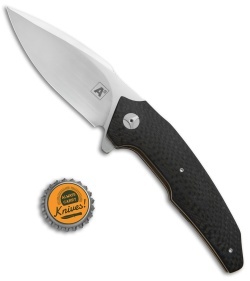 In addition, the A6 has even smoother action than its predecessors by utilizing a ball bearing IKBS pivot! 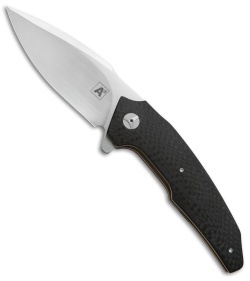 The blade is M390 steel with a high hand satin finish and a hollow grind. It has 3D machined carbon fiber scales, resting over an anodized titanium liner lock frame. It is outfitted with a titanium pocket and clip and a black G-10 back spacer.